Interview with prof. Neri: "... Europe is also ours, not a lost identity"
"The fundamental thing to underline is that it was a great national war, which for the first time saw an army of only ITALIANS against foreigners". To quote the Great War is Nicola Neri, ordinary professor at the University of Bari, with whom, in the aftermath of the historic commemorations of the 4 November, we shared opinions, memories and current events in the wake of the post event. At 15.00 4 November 1918, our Army won the Great War, the surrender of the Austro-Hungarian Empire was sanctioned. In the 1919 just to commemorate the Italian victory in the First World War, the Day of National Unity and Armed Forces. Beyond the important historical-commemorative significance, how much does it still have today to remember that victory? A maximum value because institutions are animated by historical tradition. Institutions are not only made to run some branches of society or to provide for satisfying certain needs of the national community, they are also this, but they need to be animated by collective awareness, by collective passion. Although institutions incarnate themselves in people, which as such are "fallible" and therefore can and must be the object of our criticism, we must always separate the spirit of those who embody them - and occasionally may make mistakes - therefore celebrating this centenary means celebrating the "permanence" of institutions with respect to men who have honored them, means to weld the national conscience to something that can not be invented as tradition, an irreplaceable patrimony. We know well that in our cultural experiences what ennobles us is the past, how intact remains the reason to celebrate this victory that made us reappropriate our freedom and that, in this case, was redeemed with great sacrifice, so we have a DOUBLE duty to remember it. On that occasion, and for the first time, a whole people perceived the "Nation", the sense of the Homeland with ambendo even to the sacrifice. Today, what is left of "that" patriotic sense? Should we emphasize the historical significance - commemorative of the birth of a people who "discovered themselves nation"? Certainly there is also this reason, there is no doubt that it was the first cross-national experience, in which the Italians of all regions were really called not only to be what they were but also something more. Think of the difficulty of communicating, for example, with their army or navy crooks; being Italian and making a superior identity effort, in the name of an "apparently" impalpable ideal, which is that of the country. Which then is perfectly "palpable", because the homeland is embodied in the people itself. How to think that this ideal can be faded? It can only be re-emitted. Undoubtedly that great national gesture, that prolonged effort contributed to provide a cement to the national identity of all Italians of the time and of today, in a way that has no equal in unitary history. Let's not forget that, for example, Italians in the peninsula, from the Roman Empire to the First World War, wars have always fought them, but sometimes against each other or by leaning on a foreign ally. The fundamental thing to underline is that it was a great national war, which for the first time saw an army of only ITALIANS against foreigners, a cultural effort that these our ancestors managed to do certainly on the strength of the need but an additional moral, cultural effort. compared to the material. In one of the commemorations of the Great War you would have said that "the future we build in the present". What future do you see for the National Unity? In these hundred years, meanwhile, we have enriched ourselves with an additional identity, not purely new, which has always been latent, perhaps "structured". We are talking about the European identity that has joined the national identity. The criticisms and problems that are linked to this second identity are known, but it should not be forgotten that, precisely with the two great European civil wars that we also call "world", for the first time in world political history a federation of founded on a peaceful basis, that is, we have constituted the first great peaceful civil power that is Europe. So I see first of all our identity that is not demotivated, not taken away, not emptied in any way from the European one. As already said Benedetto Croce are identities that come naturally, there is no doubt that some European directives, at times, can awaken the national feeling, all in all the future of national identities is guaranteed. Since the two wars fought, the nation-states have increased. Think of the example of the League of Nations: at the beginning there were only a few dozen countries, today, there are about two hundred and we see how the desire for national identity and independence has grown, it will be the history that decides which of these experiences has more or less less successful. To return to our Europe, I see strong national sentiments - and the experience of Great Britain shows this - but I would like to add this too: today there is no more to fear that the robustness of a national sentiment can also be the premise of a military threat, indeed perhaps the peaceful instance arises when the national identity is well defined. At the moment there is a lot of violence, but in reality we do not have a war conflict going on between two or more certain states-nations, we touch it, there are tensions, coldness, but there are no major threats, we could conclude that the nation-state is become a healthy, heterogeneous and democratic garrison as we have interpreted it in Europe, here is a garrison of peace. Which Italy instead sees in the future of the ambitious Europe? It will be that Italy that Italians will want to load with meaning, Europe is also ours, not a lost identity. We are one of the founding countries for which there is no Italy that can disregard Europe and Europe can not do without Italy. We are protagonists actors. * Nicola Neri belongs to the scientific disciplinary sector SPS / 06, "History of International Relations", is an aggregate professor of "History of Treaties and International Politics" at the graduate degree in International Relations, and "History of War and Military Institutions". He obtained the qualification for associate professor in 2012, and for ordinary professor in 2018. He is director of the "Osservatorio Balcanico", center of studies and research of the University of Bari. 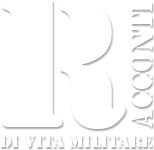 He is delegated for the Rector of the University of Bari for relations with the Armed Forces. He teaches at the Italian Society for International Organization, in Rome, and the Center for High Defense Studies. He is director of the "Le Lance" series of historical-military studies. He is Officer of the Selected Army Reserve, with the rank of Major. In this capacity he holds positions as historical and political advisor.